The L.A. burglars really hit the big one this time — breaking into Mariah Carey‘s mansion and making off with $50,000 worth of stuff … TMZ has learned. 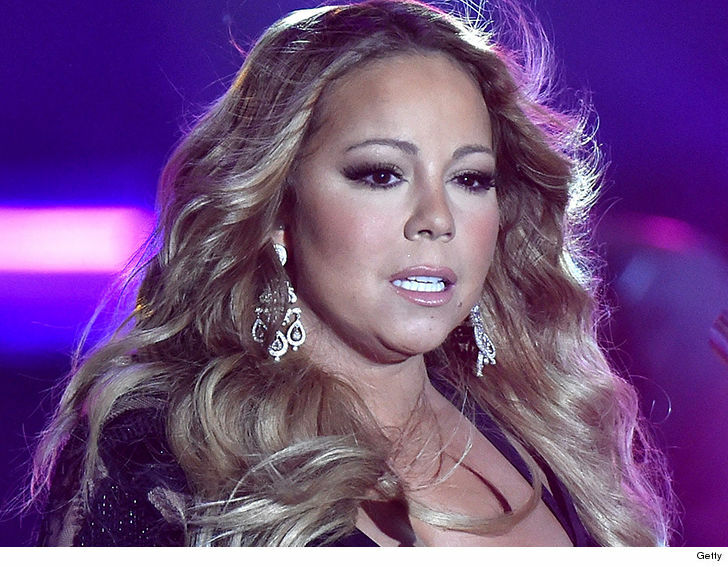 Law enforcement sources tell us Mariah’s crib was hit around 3 AM Thursday. It appears they got in through a window or door on an upper floor … a ladder was found in the backyard. Surprisingly, we’re told the crooks didn’t make off with any fabulous jewelry. Instead, they bagged up $50k worth of purses and sunglasses. Here’s the thing … as expensive as Mimi’s taste is, that’s probably less than 10 items total. In any event, we’re told no one was home at the time — Mariah is in NYC — and although the burglars tripped a silent alarm … her security didn’t discover the break-in until about 6 or 7 AM. Cops are investigating, and they’ve got a glut of these cases now. As we’ve reported … Jason Derulo, Alanis Morissette, David Spade, Emmy Rossum and Scott Disick — to name just a few — have all been hit this year. Welcome to the club, Mariah.